Thanks to great amenities, excellent customer service and first-class accommodation, Cavalese is one of the most welcoming ski villages in Italy. Visitors have easy and efficient access to 70km of runs within the resort, while lift passes are available to all of the other Val di Fiemme regions (Alpe Cermis, Alpe di Pampeago, Bellamonte - Alpe Lusia, Latemar, Passo Lavaze - Oclini and Passo Rolle). The season is scheduled from November to April, with snow cannons available for use in the event of a dry spell. 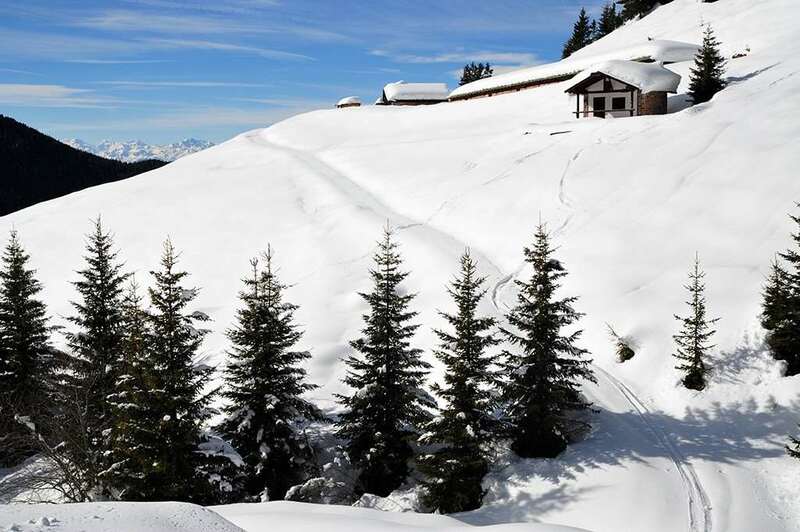 Most of the terrain at Cavalese is located on a sunny plateau just above the treeline. It is mainly suited to beginners and intermediates, though there are trickier challenges to attempt, including the 2km-long Olimpa II black run. As well as this, there are several tours to enjoy in the area, such as the Forest of the Violin tour, providing unforgettable views of the Latemar region. There is also 150km of incredible cross-country ski runs. When you have finished your day on the slopes, there are plenty of great places to relax across Cavalese. The Mardok is one of the most popular bars in the resort and offers a fantastic party atmosphere, while the Canton and the Sohozero are brilliant options for a quiet drink. 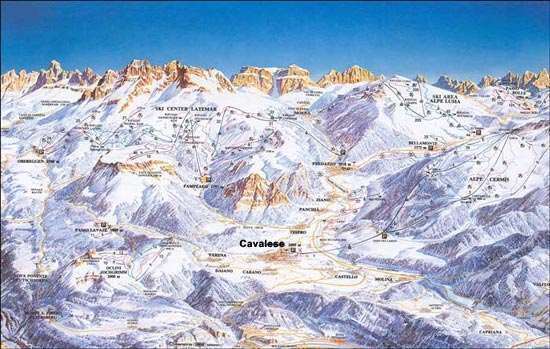 The closest airport to Cavalese is Bolzano, which is around 90 minutes away.